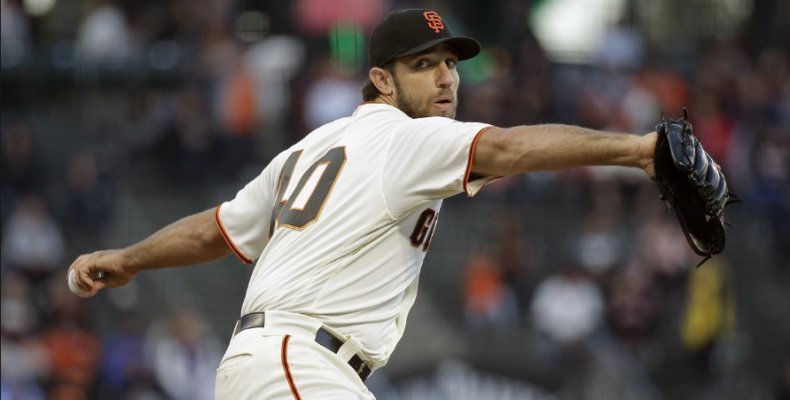 The Giants won their fourth in a row, pummeling the Arizona Diamondbacks 1-0 thanks to a blissful pitching performance by Madison Bumgarner (7ip, 0 runs) and a walkoff single down the left field line to score Steven Duggar by Gorkys Hernandez! Mr. Hernandez was the odd man out in the Giants last 30 games with Steven Duggar taking over in center field and left field being the home of Alen Hanson, Hunter Pence and other players Bochy inserted into the line up to get more offense. MadBum is Madbum and the bullpen (Dyson and Smith) did its thing. The Giants have scored three runs in their last two games and won both, pitching two straight shutouts. Looking at this team, it seems their issue is not pitching. While certainly not dominant and while the bullpen has had its share of problems in the second half, one wonders what the Giants record would be if Longoria, Belt, Crawford and Posey were hitting anywhere near their career norms in terms of average, homers and rbis. It’s fun to daydream, particularly on the morning after a walkoff home win! Tonight Zack Godley faces Dereck Rodriguez as the Giants go for the sweep. First pitch is at 7:15 PM, Will Clark time.